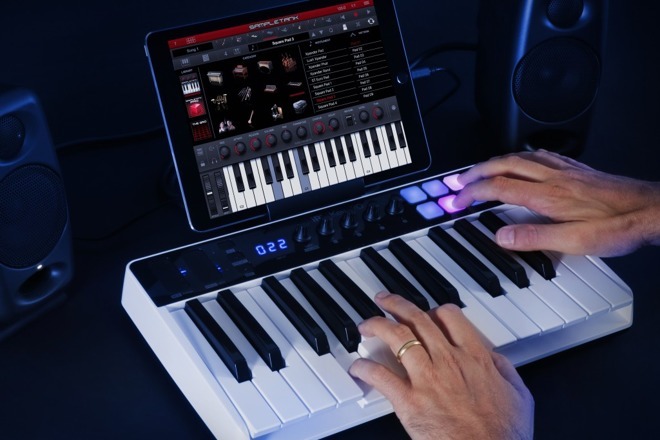 K Multimedia has added another device to its audio interface line, introducing the iRig Keys I/O as pair of MFi-certified MIDI controllers that can be used to create music on an iPhone or iPad, using its included keyboard or via another instrument or microphone using the device as a preamp. 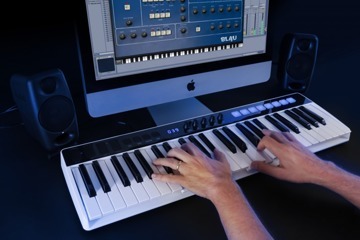 Two varieties of the iRig Keys I/O are being offered by IK Multimedia, with the 25 and 49 variants including 25 and 49 full-sized keys for each of their respective keyboards. 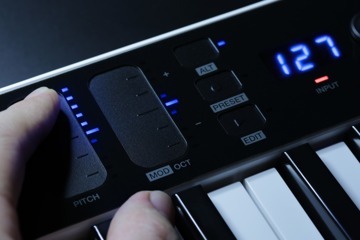 Despite the size and number of keys, the two interfaces are almost identical, with the larger model offering a few more interactive elements above the keyboard. 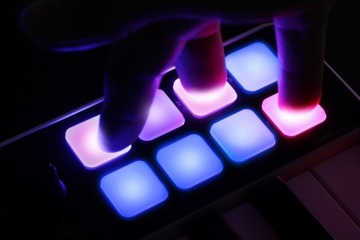 In the space on the top above the keys are a row of touch-sensitive knobs, touch-sensitive programmable sliders used for pitch and modulation changes, a numerical display, and multicolored velocity-sensitive pads to the right. 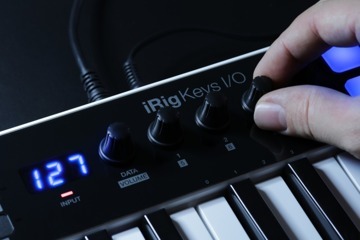 At the same time as acting as a MIDI controller, the iRig Keys I/O also includes a number of extra input options that allow it to record other instruments and microphones, recording 24-bit audio at a sampling rate of up to 96kHz. 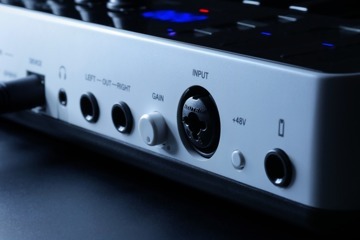 At the back is a combination XLR input which can be used with microphones and cabled instruments like an electric guitar, complete with 48V phantom power, a headphone jack, stereo outputs for a PA system, a socket for a pedal, and a multi-purpose port used to connect the USB and Lightning cables. The XLR port at the back can also be used with the iRig Keys I/O Mic, sold separately, which is a gooseneck condenser microphone that can stand up on its own without a stand, held in position using the port itself. The microphone offers a frequency response from 100Hz to 15kHz, and is capable of capturing audio at up to 130 decibels. IK Multimedia claims the iRig Keys I/O useful for mobile musicians, with both said to be 25 percent lighter than the lightest competitor, and with the 49-key model taking 50 percent less space than the smallest competitor with a similar number of keys, or for the 25-key version, 30 percent. Also included in the box is a mobile device stand, for holding an iPhone or iPad up in front of the user, with a travel bag also available separately to make it easier to transport the device. 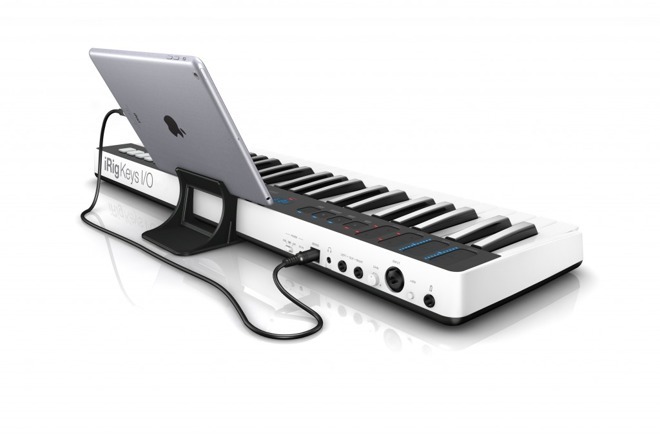 Aside from using the separate power adapter, the iRig Keys I/O is also able to use the power drawn from a USB connection, though there is also the option of using AA batteries, making it a highly portable system usable in remote locations. 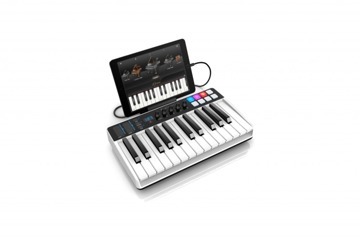 The iRig Keys I/O is available now, priced at $199.99 for the 25-key model and $299.99 for the 49-key version. The optional iRig Keys I/O Mic is available to pre-order, priced at $69.99.